Do you have a bedroom full of glowing or even blinking lights? Have today's wondrous devices gotten the better of your sleeping space? Have we got the solution for you! Light Dims make the night dark again. Each set comprises over 100 "dims". Place dims over indicator lights on electronic devices to block their sleep-shattering brightness. 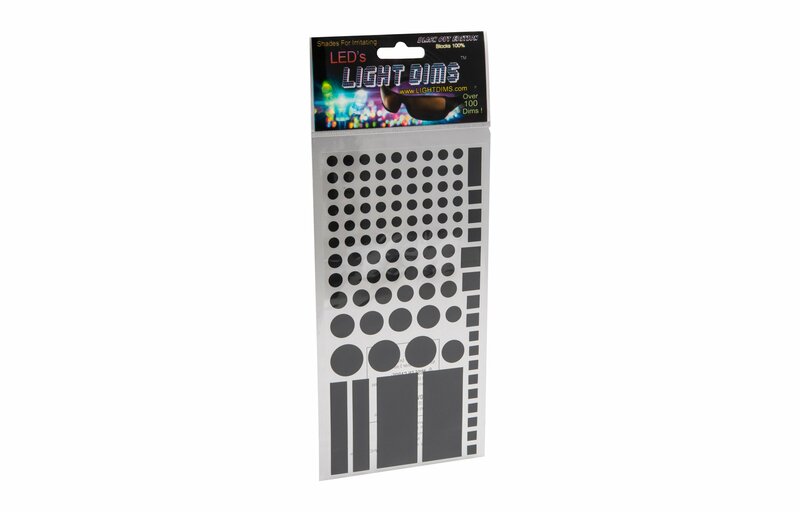 Black Out Edition Light Dims are even stronger than Original Light Dims. (Or are at least more opaque!) Use them for those stubborn lights that still get past Original Light Dims, or where you need EXTRA darkness for Serious Sleep. SleepPhones® and Light Dims - a powerful combination for better sleep!